Mark your calendars for this informative event! 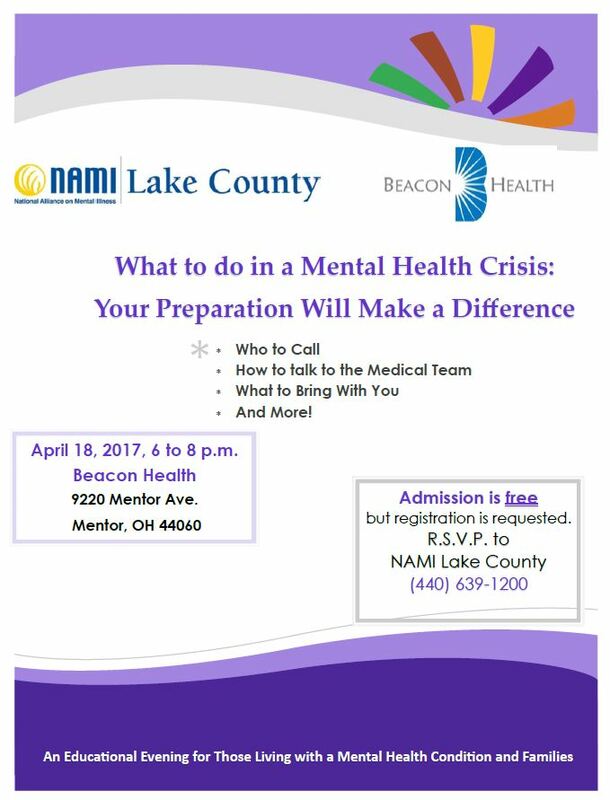 RSVP to NAMI Lake County at 440-639-1200. Beacon Health & Crossroads are Merging! Passage of Issue 4 – THANK YOU! Beacon Health in the Community!